Digital transformation, IoT, AI etc. technical advancements have a huge impact on our industries. We can still see slow adoption of modern technology and traditional hardware, and the disruptive transformation is expected to rise by 2022. IoT and AI Driven innovative technologies will be the key solutions to offer real-time data and insight to make better decisions. 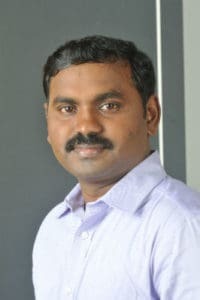 We spoke to Prabhu Ramachandran, CEO and Co-Founder, Facilio, SaaS based start-up providing solutions for intelligent buildings and efficient facilities management, to understand the industry landscape and challenges. It is true that building/ Facility management (FM) industry in India has been conservative in adopting new technology. The current approach to facility management is clearly siloed, steered by hardware-automation over the years. On the other hand, globally, the FM industry is now on the cusp to adapt advancing technology. The evolution is to meet the changing expectations of customers, as well as those of CRE’s and FM’s who are demanding a shift from traditional, tactical facilities management towards a smarter, predictive facilities experience. The last decade has highlighted the potential of software-led models to disrupt Facility management industry and provide large-scale efficiencies. As commercial real-estate portfolios grow, facility managers are also significantly challenged by the economies of scale. A single oversight on just one part of the portfolio is usually sufficient to increase operational costs by almost 15%. Hardware-centric solutions for these problems are limited by their capital-intensive nature and inability to scale. The facility management market has shown considerable interest in a software-driven approach with the potential of technologies like IoT & AI that democratize automation data silos. So CRE’s and FM’s are keen to utilize software to provide flexible, agile, and unified solutions that drive continuous operational efficiency and sustainability, at scale, across building portfolios. A recent analysis report by Verdantix, a leading global research consultancy specializing in energy, real estate, facilities and maintenance, estimates that the global market for software and related IT services in buildings is currently estimated at $8 billion, and is expected to reach $12 billion by 2022. Facilio’s goal is to empower CREs and FMs (Corporate Real Estate and Facility Management) to be an efficient value-partners. By providing a centralized IoT and AI-driven solution, Facilio uniquely manages all aspects of portfolio building operations, asset and sustainability performance, and the tenant experience, in real-time and under one umbrella. The global annual spend on facilities services stands at close to $1+ trillion dollars today, with the spend on buildings energy management almost close to that number. Any value that can be added to economies of such scale is itself enormous in potential. At Facilio we are extremely upbeat about the market because of our familiarity with projected enhancement in technology, as well as the response we have received so far. As a rule, even before savings are realized by our clients, the efficiencies generated by our solution results in their highly enthusiastic approval. The emerging mindset towards urban living and the concept of Smart Cities is the environment that we at Facilio want to thrive in. We are vigorously expanding in the Middle East and US markets and are actively building a robust partnership network within these regions, to engage with local stakeholders. IoT and AI-led facilities management is the next frontier for facility managers. Facilio helps facility managers and building owners to make the transition to this next phase of agile operations and continuous efficiency. Facilio’s unified software solution rationalizes the asset-intensive buildings ecosystems and reduces functional complexity. It seamlessly integrates with existing building systems and predictively improves efficiency, through centralized and real-time facilities optimization. Facilio does not require uprooting existing infrastructure, nor does it require the addition of new hardware. It uniquely focuses on real-time data collation and analysis of data, enabling actionable insights. It delivers continuous and predictive management of operations and performance, through the means of an IoT and Machine learning enabled solution – scalable across all possible real-world requirements. The Facilio solution delivers elegant simplicity in management and impressive performance metrics. Are you using predictive analysis to create an alert in advance for any failure? Facilio uses its unique IoT-driven edge technology to connect and unify all multi-vendor building automation and management systems centrally onto the cloud. It then applies ML to predictively detect equipment fault and anomalies in performance and diagnoses the root cause of the effect. It integrates corrective actions and aligns an automated escalation mechanism (either switch to fail-over or triggers maintenance work order to relevant personnel) with a prescriptive AI-driven recommendation on the specific anomaly. This way, Facilio unifies people, process, and machine performance in real-time across a portfolio of buildings – eliminating the spend on multiple tools and the complexities associated with it. Most IoT solutions in the market today come bundled with a proprietary set of sensors that only adds to an already disparate and siloed environment. Plus, they add an extra hardware layer to already hardware-centric systems and further increase complexity and the substantial cost of management and ownership. Facilio, on the other hand, is a software-driven solution that, unlike traditional incumbents and other piece-meal software offerings, rationalizes the asset-intensive buildings ecosystems and reduces functional complexity. We’ve built from the ground up keeping in mind property owners and facility managers, to help them achieve real-time operational efficiency and sustainability across CRE portfolios. It seamlessly integrates with existing building systems and delivers efficiency, while improving the net operating income through a centralized solution. The biggest gains is in utilizing technology to centralize and consolidate operational data from multiple BAS and control systems. This, in turn, enables effective cross-utilization of asset performance with real-time maintenance management. And with a large set of data patterns to train on, Facilio can produce predictive models of downtime and building owners will be able to provide world-class tenant experiences that give them the edge over the competition. In general, Facilio enables a minimum of 30% of sustainability savings, in addition to increasing asset lifecycle by 20-25% and creating a smarter workforce. With the built environment contributing more than 40% of the world’s energy use, a unified facilities optimization solution like Facilio helps property owners and occupants ensure ‘sustainability as a habit’ by embedding green practices in everyday operations. With facilities management, the industry is at the tipping point of disruption and we already see early adopters enjoying tech-enabled opportunities as a competitive edge to enhance their facility offerings and provide flexible benefits that improves their net operating income while creating smoother experiences.